Looking for a vegetarian meal that will help grow your hair? Let’s talk Lentils! These delicious legumes are loaded with protein, iron, zinc, and biotin. The best way to take care of your hair is through the food you eat. A diet enriched with the right nutrients will give your hair follicles a healthy punch as they grow hair in maximum capacity. 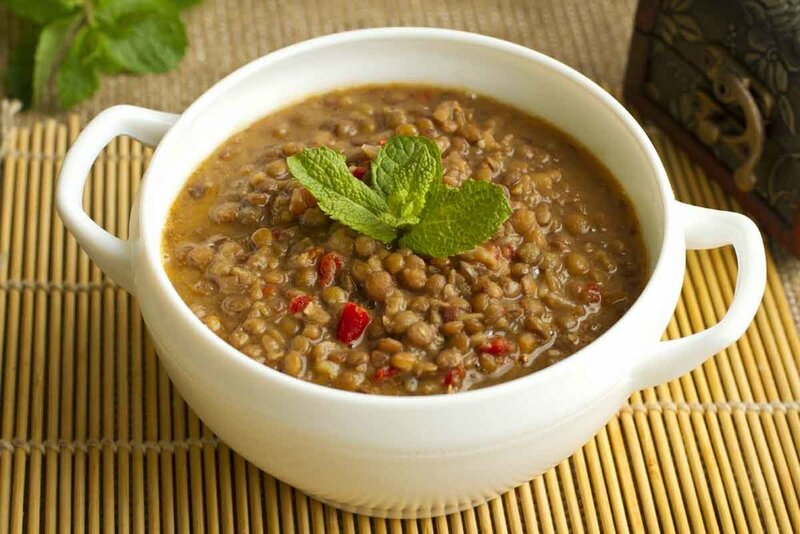 Lentils are jam-packed with folic acid that is needed for restoring red blood cells that give your skin and scalp oxygen. Celery contains various anti-oxidants, vitamins, minerals, proteins and poliasetilena, which serves as anti-fungal and anti-bacterial. Use the leaves as a hair mask and you can get great results. Onions also make a great contribution for hair loss solutions. Its natural anti-bacterial properties improves blood circulation and antibacterial properties as well containing enzyme catalase that prevents premature graying. Have a carrot a day or drink it as a juice. Carrots are filled with vitamins and nutrients that are good for skin, hair and health. To fight against hairlessness, some of us go through Hair Replacement and hair extensions. However, natural hair loss solutions can be found at your home. Let’s grow hair with these natural ingredients and fight baldness! With the right hair care tips, our hair can flow freely without a single problem. In a large pan, sauté onions, celery and carrots in oil for 3-5 minutes until onions become transparent. Add the broth, tomatoes, lentils, oregano and bay leaf. Salt and pepper to taste. (Add more as needed). Reduce heat to a simmer. Cover the pan until the vegetables cook for 40-45 minutes. Take out the bay leaf and add lemon juice, then serve. Lemon juice brings out the flavours of the soup.